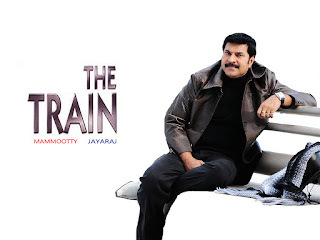 Mammootty has announced his new Movie name, The Train. Mammootty announced it two hours before through his Facebook page. Mammootty is now at Mumbai for the shooting of 'The Train'. The movie is directed by Jayaraj. The cast and crew of the film will be announced later. The main shooting location is Mumbai and some other areas. It sounds that Music of the movie will be given by Sreenivasan and cinematography will be looked after by Ajayan Vincent. Apart from directing the movie, Jayaraj has also written the story and screenplay. Mammootty having a busy schedule through out his career. Mammootty finished his movie 'Doubles' last day in Chennai and now he joins with ' The Train'.